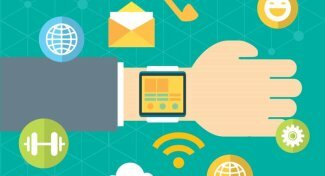 Smartwatches have begun to take the world by storm with more and more manufacturers jumping into the market offering their own take on this latest technology movement. 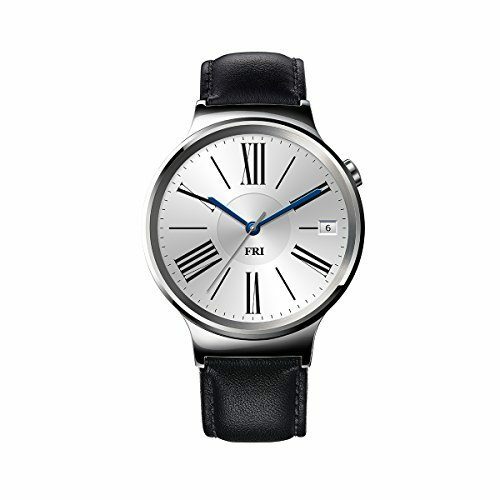 For those of you that don’t know, a smartwatch is a computerized watch that offers more than just the standard date and timekeeping features found on most watches. 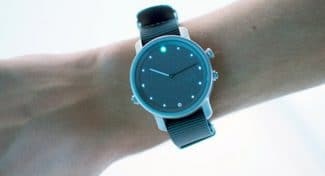 These watches often offer a wide variety of feature sets and are designed to sync to your smartphones, computers and tablets to provide you with a wide array of functionality right on your wrist. 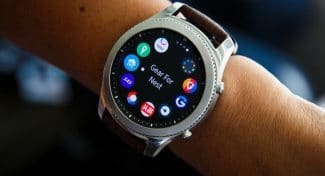 If you are new to the smartwatch market and want to learn even more about these devices and what you should look for in a watch before you buy, I recommend you visit our Smartwatch Buying Guide to learn more about the watches themselves and what features you should be looking for in a smartwatch. The following is a list of the very best smartwatches available on the market in based on user reviews, sales, design and feature sets. 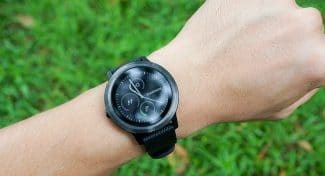 We have performed extensive research on smartwatches in order to build a quality list of the best to help save you time when you are shopping for a smartwatch. If you are on a tighter budget then also be sure to give our top budget smartwatches guide a read through for some more affordable options. 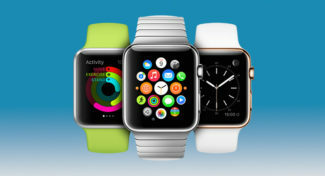 There is no doubt that the world of smartwatches changed once Apple entered the market. Their line of Apple Watches transformed these devices from gadgets to jewelry, and it did so without sacrificing functionality in the process. 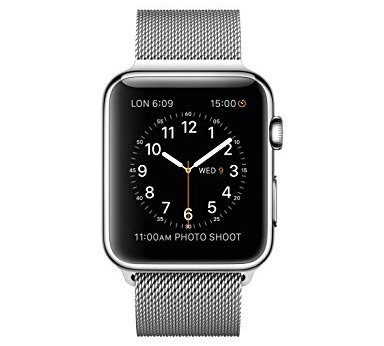 The Apple Watch Sport features an aluminum frame which is very scratch resistant and light, although not as high end as the standard Apple Watch. Its screen is built with Ion-X glass that is durable although not as durable as the Sapphire used in the screens of the standard Watch. Featuring 8GB of storage and powered by the Apple S1 chip, you will have plenty of power for many of the apps that are currently available, although in time you may have to watch how much you store on the device. The sport comes with many fitness tracking apps as well and is designed specifically for those active individuals out there. With its seamless integration with the iPhone, stylish design and sturdy yet stylish build, this is an amazing smartwatch for any user assuming the price fits into your budget. 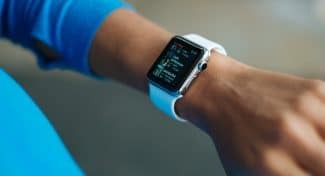 The Apple Watch Sport boasts spectacular design and a healthy app store, but if you don’t live in the Apple ecosystem your experience may vary. 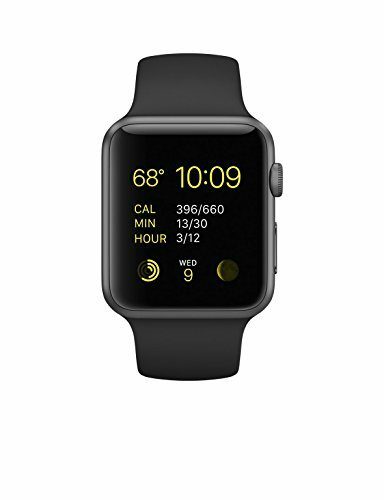 The flagship model of Apple’s ever popular smartwatch, the Apple Watch Stainless Steel features a stainless steel design with Sapphire glass covering the display. While the Sapphire glass is highly scratch resistant, the stainless steel can be prone to a scratch here and there if you aren’t careful. Designed with a retina display and including force touch, the Apple Watch is highly intuitive to use and the display is very sharp and easy to read. This watch is also water resistant, but I wouldn’t go jumping into a pool with it on. Still, if you get splashed with water you won’t have to worry about your smartwatch getting damaged. With 8GB of storage, you will have more than enough to install apps that are currently available although in the future you may run into storage issues. If you are seeking a truly stylish watch that is top of the line on both design and features, this is the watch for you. It’s seamless compatibility with the iPhone makes it the perfect accessory for any Apple user to add to their collection. Hands down this is a category leader featuring amazing design and a full range of apps to expand its power, but its cross platform compatibility is questionable at best. 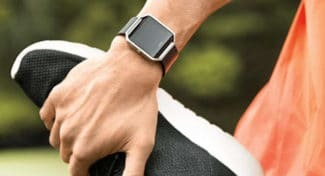 Fitbit has led the way when it comes to fitness monitoring, but their devices have always lacked some of the smartwatch features that many users are searching for in their device. 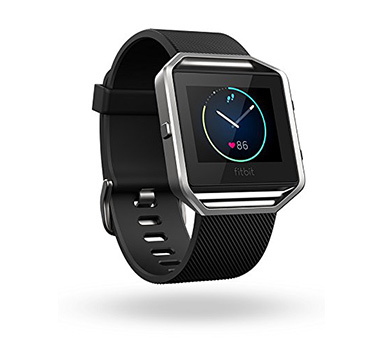 Enter the Fitbit Blaze Smart Fitness Watch. The Fitbit Blaze features a standard smartwatch design that is elegant and durable, featuring Gorilla glass that is tough and enduring. 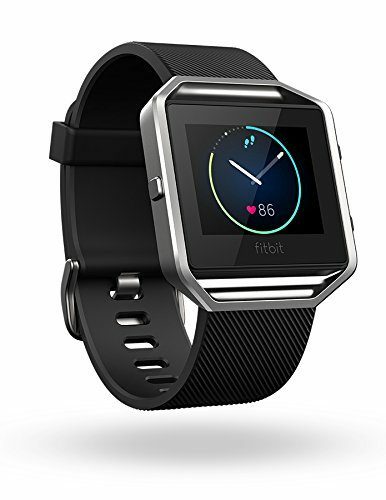 It includes a wide range of fitness tracking features that you would expect from a Fitbit such as step tracking, heart monitoring, and much more. Outside of the fitness features, however, it is lacking. While you have multiple watch faces, you are limited to the four that it ships with and there are no apps available to expand its capabilities. As a fitness tracker/smartwatch, this device truly shines. But if you are looking for a device that will do it all along with the fitness features, then you may need to shop elsewhere. Fitbit’s entry into the world of smartwatches is admirable featuring a wide range of fitness apps and basic smartwatch features, but for a full smartwatch experience you will have to look elsewhere. 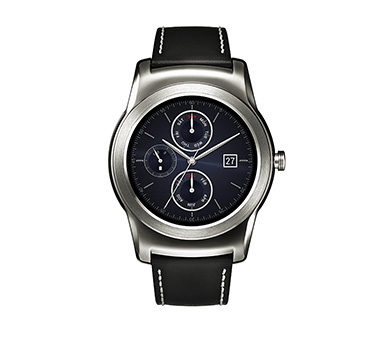 Another entry into the smartwatch by LG, the LG Watch Urbane features a traditional circular design with Gorilla 3 glass. Featuring 4GB of memory, you will have plenty of room to store your apps and faces so you can expand your usage, but it is lower than other storage options found on some of the competition. 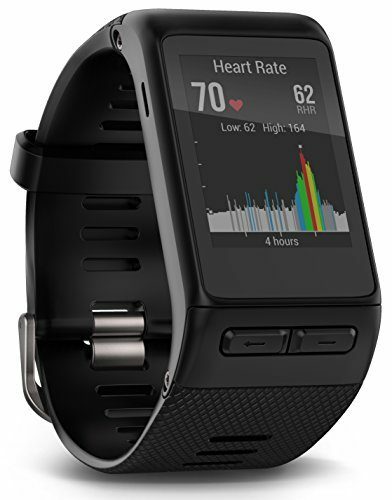 It comes with all the latest health and fitness trackers on the phone and with the use of Google Now and the included microphone, you can easily give voice commands to your watch. Unfortunately, it doesn’t come with a speaker, so you won’t be able to make and receive calls with it, but you can use it to interact with your phone to make those calls. Based on Android Wear, this device is compatible only with those devices running Android 4.3 or higher, so iPhone users are simply out of luck. If you have an Android-based smartphone that is relatively new and want a smartwatch with a more traditional watch appearance, then the LG Watch Urbane is a perfect option that should make it to your short list. The LG Watch Urbane features a beautiful and study design along with great battery life and a ton of included features, but it lacks apps to expand its capabilities. Some people, when buying a smartwatch, are looking for something that not only has the functionality they want, but also a unique look. 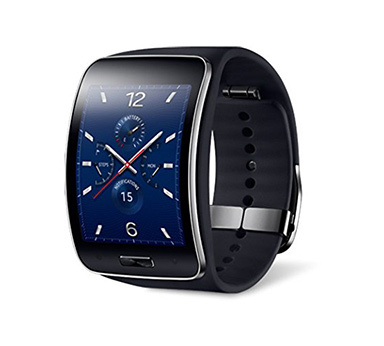 The Samsung Galaxy Gear S R750 should satisfy that desire nicely, as it features a unique curved 2-inch Super AMOLED Capacitive Multi-Touchscreen display that fits nicely on your wrist while also looking pretty impressive. Based on the Tizen operating system from Samsung, this device will easily connect to many Samsung devices although other devices may or may not function so be very careful. 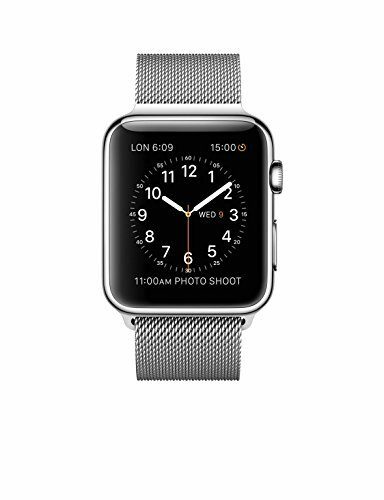 The watch includes 4GB of storage and 512MB of RAM to give you plenty of power and storage for your files. One of the nicest features of this particular device is the inclusion of a SIM card, meaning you can make and receive calls right on your wrist without the need for your smartphone. 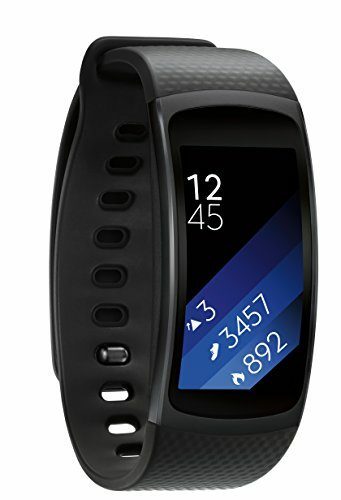 All in all, if you are seeking a unique device that is slick and stylish while giving you the functionality you need, the Samsung Galaxy Gear S R750 is worth a closer look. 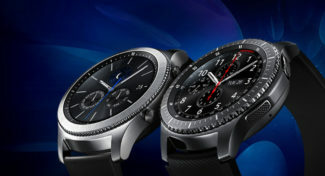 While many Samsung smartwatches only promise to work with Samsung smartphones, the company broke from this policy when they created the Samsung Gear S2. 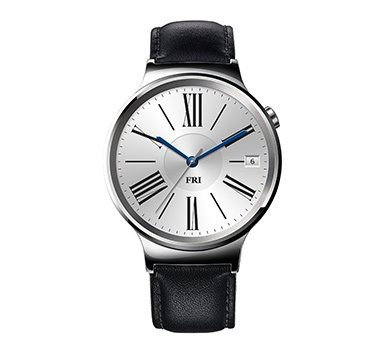 The watch features a circular 1.2-inch display which can seem a little large on the wrist, but not in a bad way. The watch itself is easy to use and sync with a wide range of Android devices, although iPhone users are again left out in the cold. It includes all the features you would expect including call answer and even fitness features for anyone looking to track their health. With 4GB of memory and 1.5 GB of RAM, you will have more than enough storage and power for any modern apps made for the watch today, however, a few years from now this watch may struggle to keep up. 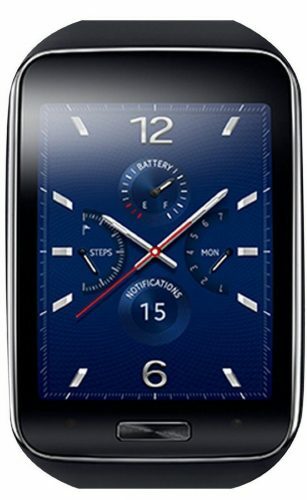 If you are a fan of Samsung products but don’t have a Samsung smartphone, this watch is perfect for you. It will easily sync with your device and even though it doesn’t have its own speaker, it can easily be used as an effective addon for your smartphone. 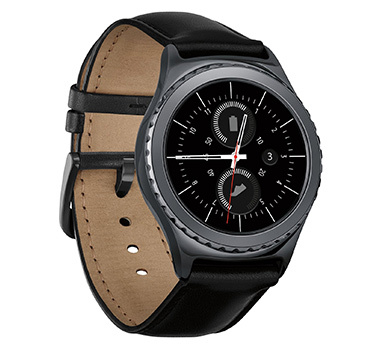 The Samsung Gear S2 includes a wide range of features that every smartwatch lover will enjoy, but if you want to listen to anything on it, you will not be satisfied. 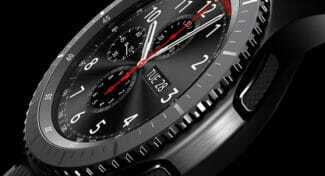 When you think watches, Huawei doesn’t come to mind. 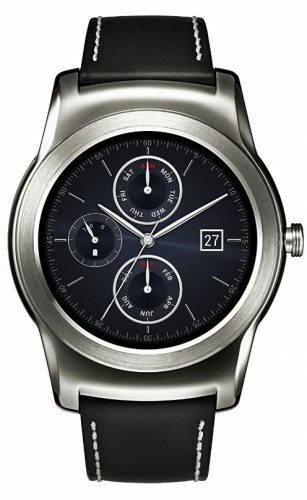 But, the Huawei Watch is making a name for itself in the smartphone world thanks to its traditional luxury watch design and impressive set of features. The watch itself is built with sapphire crystal making the screen durable and tough to scratch. At the same time, the design will make you recall some of the classic regular watches of today and yesteryear. This smartwatch is compatible with both Android and iOS although Windows Phone users are currently in the dark. Still, with a majority of users on either of the former phones, compatibility won’t be much of a problem. While there aren’t many apps to add later, this watch comes with a wide variety of apps perfect for any user and with the seamless sync, it is very easy to use. If you are looking for a more traditional look from your smartwatch, check out the Huawei, it could be just what you are looking for in a smartwatch. With an elegant design and cross compatibility, this watch is one of the best although some have complained about the consistency of the reply features. 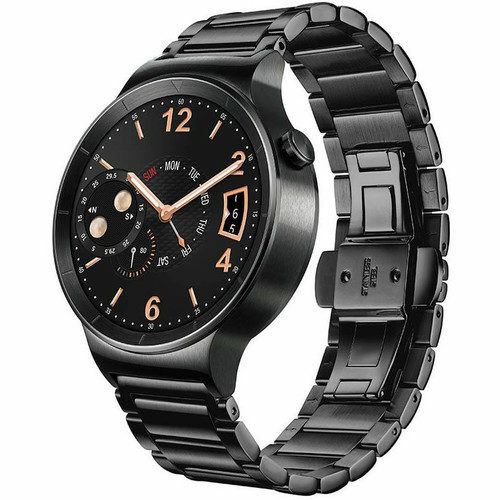 Stepping it up a notch from their standard watch, Huawei has given the Huawei Smartwatch Black Stainless Steel a very elegant, yet rugged appearance. Dressed in black stainless steel, this watch just looks slick, and will make a great accessory on anybody’s wrist. It comes with all the features that you expect from Huawei and is easily paired with both the iPhone or Android smartphones. Some users did complain about some sync and reply issues with the watch, but overall the results were quite well received. If battery life is what you are looking for, you may want to be careful, as some users weren’t quite happy with the battery saying it drained in one to two days with their usage. Still, if you want an elegant smartwatch and don’t want to go with Apple, this is definitely the watch to get. 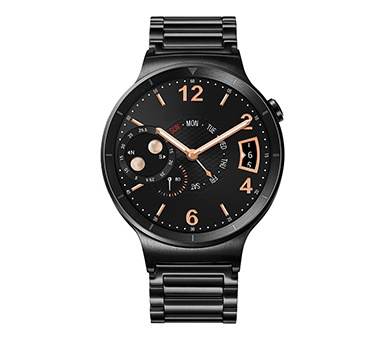 An all around great watch for those that love stainless steel, this Huawei Watch comes with a wide range of features and compatibility with all types of smartphones. 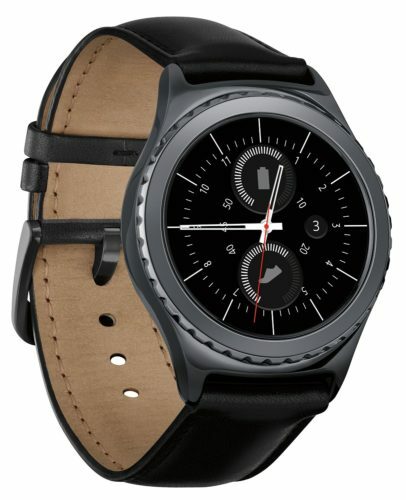 The Samsung Gear S2 Classic is essentially a redress of the Samsung Gear S2. It features the same powerful hardware including 4GB of storage and 1.5GB of RAM. Its interface is powered by Samsung’s own custom interface which many believe is much smoother and more intuitive that Android Wear. This particular model includes a more classic design that looks more like a traditional watch that almost anyone would wear. While overall this watch is definitely one of the best, it does lack Google Maps support and the speaker could definitely be a little bit better. Of course, most probably won’t use it to listen to anything important, but it still should be noted. Overall, the Samsung Gear S2 is a strong contender for one of the best on the market today. 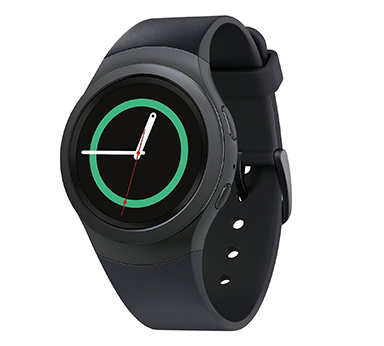 If you are looking for a smartwatch that has a sleek appearance that doesn’t look like a smartwatch and you need power, you simply can’t beat the Samsung Gear S2 Classic. 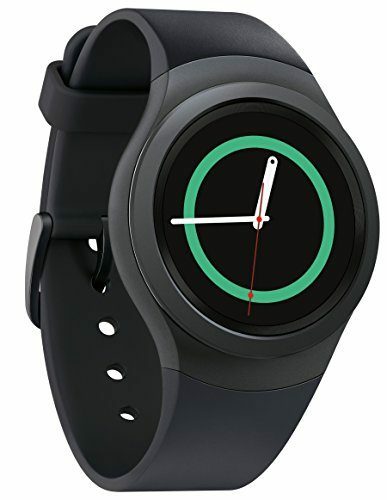 A classic design on a smartwatch, the Samsung Gear S2 Classic includes powerful hardware in a traditional package. 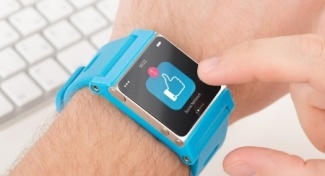 Some consumers just don’t want to give up their analog watches in favor of smartwatch. It is understandable. After all, they are used to the reliability of their classic watch. That is where the Fossil Q comes into play. Fossil has taken the analog watch and blended it with many smartwatch features such as notifications and fitness tracking to create a hybrid watch that even the most stalwart smartwatch holdouts will love. 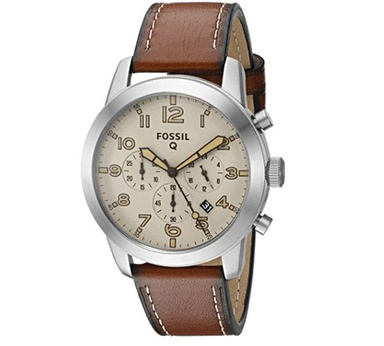 It features a classic designed watch with a brown leather brown that is stylish in a more classic way. On top of that, it will easily pair with your Android or iOS device and notify you when you receive messages. It will even track your steps and provide other fitness features that you may want. If you don’t want to give up a traditional watch but would love some of those smartwatch features, the Fossil Q is definitely worth a closer look. 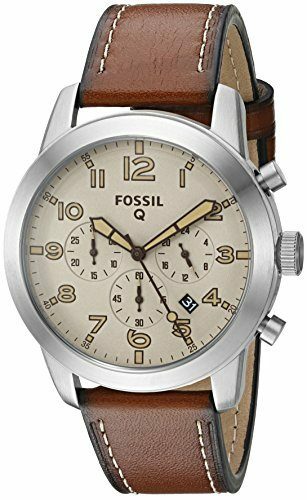 The Fossil Q Pilot Brown Leather Hybrid Smartwatch blends traditional with the modern, giving you great smartwatch features, albeit in a limited fashion, along with an analog clock. The Garmin Vivoactive HR GPS Smartwatch brings a truly sporty watch design to the world of smartwatches. Featuring 24/7 heart monitoring and a host of health features, this watch will easily track all of your health needs. At the same time, it features a variety of watch faces and similar features that smartwatch owners have come to expect and it will easily sync to both Android and iOS devices. Still, some found the screen to be too dim in low light conditions despite being designed for maximum battery life. No doubt, the battery will last for as much as a week on a charge depending on the features you use. Others found that while it easily syncs initially to multiple phones, if your phone goes out of range of your watch resyncing can sometimes prove difficult. 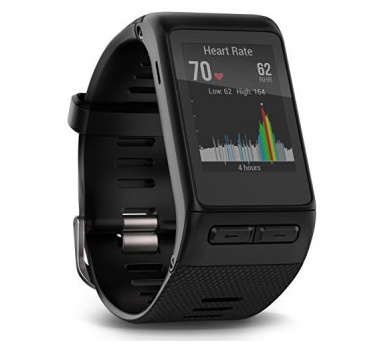 Overall, the Garmin Vivoactive HR GPS Smartwatch brings a host of features perfect for outdoor fitness buffs making it a great accessory for anyone who prefers their workouts outdoors. 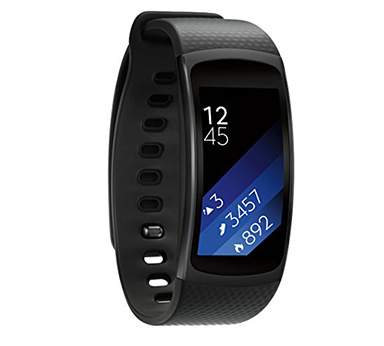 Not to be outdone by other smartwatch makers that include a wide assortment of fitness options, Samsung designed the Gear Fit 2 just for health lovers everywhere. Featuring a gorgeous screen that can’t be beat and comfortable, yet sporty design that fitness buffs will love, the Samsung Gear Fit 2 is truly a sight to behold. 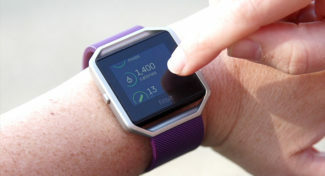 Still, some users found that sometimes the watch failed to record their fitness data accurately, noting problems with the heart monitor and even step counting. The end results are holes in your data which could impact your tracking if you need an accurate accounting of your health data. Still, if you like sleek and sporty design and you love Samsung products, then this is definitely one of the best options currently on the market for you, just be aware that the fitness features aren’t quite as accurate as other options on this list. 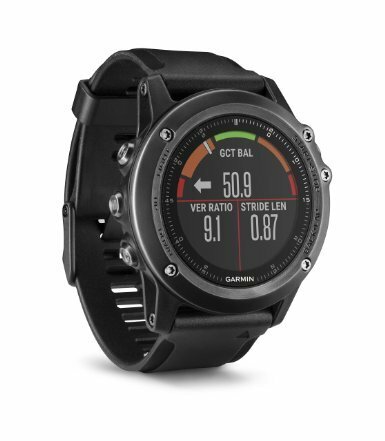 The Garmin Fenix 3 HR offers a unique take on smartwatches, giving you a vast array of health features wrapped in a design that looks and feels much more like a traditional watch compared to other smartwatches. It includes a host of features that smartwatch fans will love, including great watch face customization, notifications and much more. 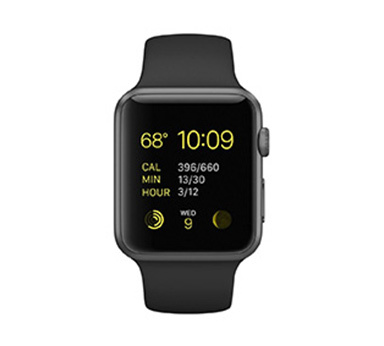 On top of that, its vast array of health features make it the perfect watch for health nuts and regular users alike. However, some users weren’t happy with the dim screen on the smartwatch, although it is designed for viewing in a variety of lights and optimized for the best battery life possible. Other users found the health apps are not quite as robust as those offered from other manufacturers. Although for many users the offered features are more than enough. 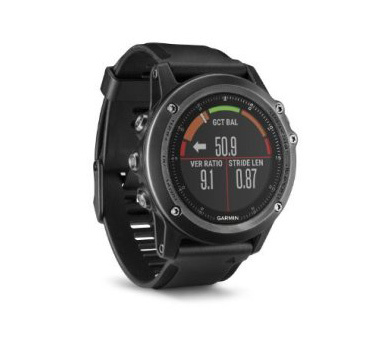 If you are looking for a smartwatch that doesn’t look like a smartwatch and still comes with the health features you need, then the Garmin Fenix 3 HR is just the watch for you. 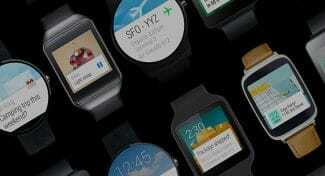 The above smartwatches represent the best of the best and they are all great choices when shopping for a smartwatch. If you are shopping on a budget, you should try browsing our Best Cheap Smartwatches list to find the most affordable smartwatches available. Remember to visit our Smartwatch Buying Guide in order to help you narrow your search criteria when you are choosing one of these smartwatches. No matter which one you choose, you will be happy with your choice as you convert a classic jewelry accessory into a computerized tool that will add convenience to your life while still looking stylish on your wrist.